Sergei Mikhailovich Eisenstein was just 26 years old when he directed his first feature film. He was already living in Moscow where he was working as stage director at Proletkult Theater and he was also interested in the new techniques of film editing. 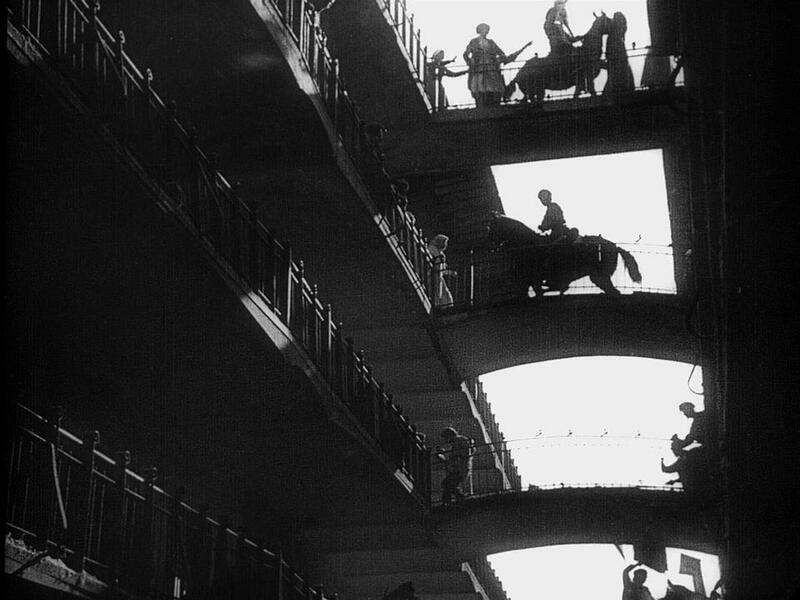 At that time, Eisenstein was commissioned an ambitious project; a series of eight films entitled Towards Dictatorship (of the proletariat). The first part of this series was Stachka / Стачка (Strike, 1925). The following chapters were Bronenosets Potyomkin (Battleship Potemkin, 1925) and Oktyabr (October, 1928), the series was left unfinished as the remaining films were never filmed. Despite the positive initial reactions that Strike received, the film was quickly forgotten and it was shelved for almost 30 years. The story is set in early 20th-century pre-revolutionary Tsarist Russia. The workers of a factory are really worried about their working conditions as they feel that they are always in danger, their income is extremely low and they are trying to find the right ways to react. As it is expected, the administrators of the factory fear for the worse and decide to use snitches in order to stay informed about the workers’ movements and also provoke them during their meetings. While the atmosphere is already really tense, one worker is accused of stealing a tool and for that reason he should pay it. Since the cost is excessively high for him, he commits suicide. After this tragic incident all his colleagues rise up and declare a general strike. The massive chain reactions of the strike will be enormous throughout the city and the only way to suppress them is by the violent intervention of the Cossack soldiers. 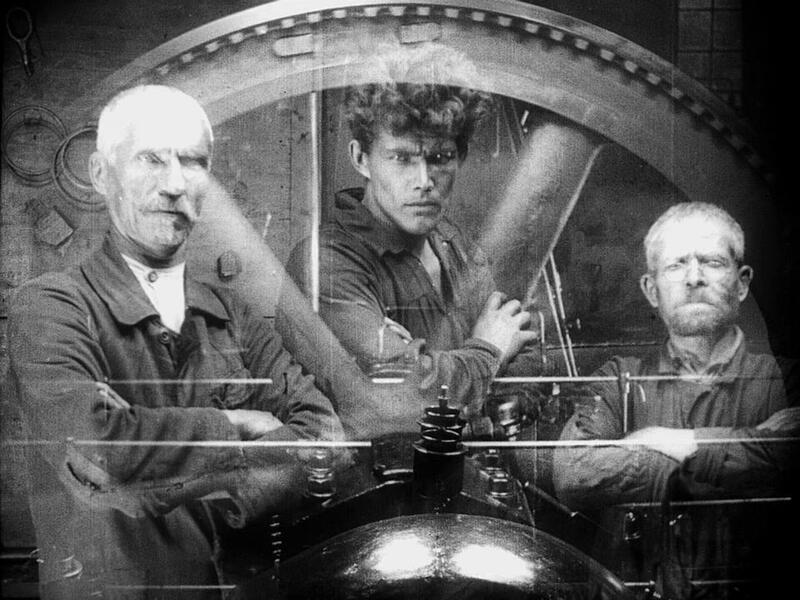 Sergei Eisenstein’s Strike is a first archetypical example of pure communist propaganda. The idealization of the working class, the first ideas of ‎collectivization, the demand for equal labor laws, the power of the labor – proletariats, the intransigence of the bourgeois government and the capital’s cruelty are the main concepts that the film exposes. Strike expresses in the most remarkable way the ruling political manifesto of that era and it could be easily considered as an imposing promotion of all those ideas that the Soviet Union of the early years was advocating. Inevitably, a particular reference is made to the people’s awakening that was brought by the then recent October Revolution. This precise time frame is also the key element that differentiates Strike from previous propaganda films. The events that are presented are so contemporary thus they have a direct effect on the audience, which was also the ultimate recipient of the film’s messages. Unlike other similar films that for technical reasons had a natural historical distance from the real events – D. W. Griffith’s The Birth of a Nation (1915) – Eisenstein’s film lives and presents his generation at the right time. Despite the fact that he is using a historical fact as a pretext, he doesn’t deduct himself from the proto-soviet society that he truly belongs. With the exception of some early documentaries, Strike is a pioneering masterful blend of fiction and realism that also stays purely focused on its main theme. This early form of socialist realism will be later evolved into an almost independent genre that will reach its peak during the 60s and it would dominate the majority of the socialist countries cinema. 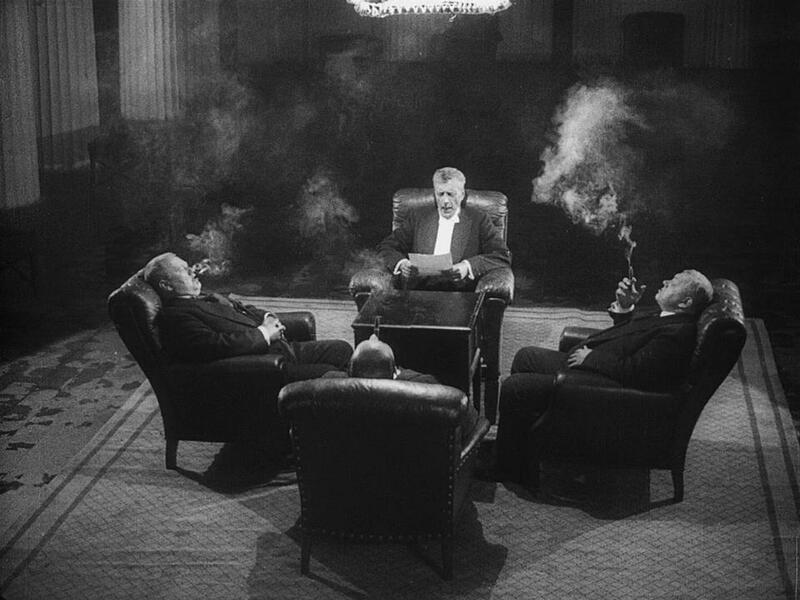 What makes Strike an extremely realistic film is not just the historical concept that Eisenstein followed but it is mainly due to the revolutionary ideological method that he used to illustrate his heroes. Essentially in Strike and in his next two films, the heroes, in the classical sense of the term, are absent as the director attempts to understand and depict them in a groundbreaking way that is escaping from the established standards. For the first time the camera moves away from a virtually unknown to the viewer protagonist and turns around in order to focus on the viewer himself. Now the viewer becomes the epicenter of the film. Through an anonymous theatrical collective, since no actor’s name is credited but just the Prolekult troupe, the audience – people becomes the true protagonist. In the essence of pure communist solidarity, the actors simply operate as means of people’s expression and they are no longer the main focus of attention instead they just represent the audience hence everyone. Unavoidably this provokes the viewer to be a part of them, to feel a member of their working class, to agree on their demands, to participate in their strike and actually to become one of their comrades. So Eisenstein by remaining faithful to the ideology of his era and by dismissing the known cinematic language puts the personal interest in the hands of a team effort. Also by staying true to his party’s reality, transforms a collective experience as personal so each individual could be affected at the same time both separately but also mutually too. As it could be expected, Eisenstein’s technical method in Strike has some pretty close resemblances to his theatrical experience. It is natural that at the beginning of his career his passage from theater to cinema is deliberately obvious. The film is divided into six chapters – acts that follow an austere accuracy. The first three chapters observe the initial tranquility of the workers lives until the outbreak of the strike and the shutdown of the factory. The following chapters present the aftermath of the strike and the final brutal intervention of the police and the army. 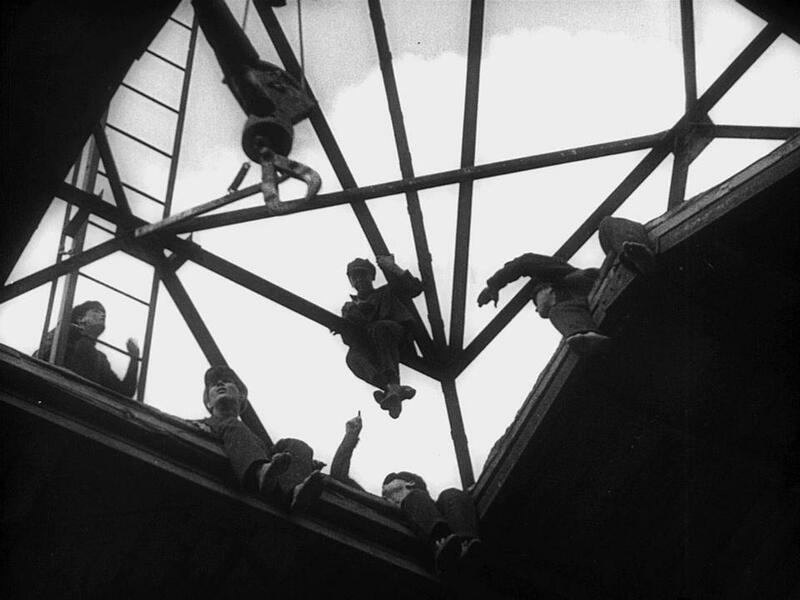 Even as a stage director, Eisenstein was a fond admirer of the intellectual montage, where different shots are entangled into each other in a way to create strong emotions to the audience and stimulate an intellectual meaning too. Strike is one of the prominent examples of this montage technique. The shots are characterized by an extreme dynamism and are fast paced while the abrupt short-cuts create frantic sequences that are always particularly coherent and are used to depict the ideological symbolisms and to intensify the emotional and psychological impact to the audience. Probably some of the scenes seem to be a bit more stylized than they should be, but with the help of brute reality this sensation is less evident. It is more than clear that even with his debut film, Eisenstein is using his artistic freedom and wants to impress by having a total control of his work and by manipulating his audience according to his needs. A new approach of the myth of Medea set in the rural countryside of the Southern California, by Andrea Pallaoro.